Do you think Pinkie Pie sets a good example of what kids should grow up to be? The fans pick: Duh, being happy and friendly is important! Which mane style do you like better? Is Pinkie Pie your favorite pony? The fans pick: YES!!! I <3 PINKIE PIE!!!! Which ones cuter? Young pinkie pie or older pinkie pie? The fans pick: Older Pinkie!!!!! If you had a rap or song or poem or gift for her on her birthday what would it be? Would you protect Pinkie Pie if she was in danger? Ill try to get up on my hooves and try a different task. Ill find something new to do.There's got to be more to me than planning a party or two. but I've noticed some of you have been exaggerated the story. It was a nice sunny day in Equestria. Everypony had just finished Winter Wrap up when Pinkie Pie had an idea. Rainbow Dash: Pinkie, what's easter? Pinkie Pie: On some random day in April which keeps getting changed because of Spring Break, the easter bunny goes everywhere to hide Easter eggs in everyone's houses. By the year 1904 many ponies have traveled the seven seas to find hidden treasure. All of that pirate stuff stopped in the 30's, as a war between Equestria and England started. Before that war, many ponies have found what would now be worth over 60,000 bits today. 2031 however was the year that a pony found a lot of treasure worth 100,000 bits. Here is her story, which started in Ponyville. Pinkie Pie: You're probably all wondering why I called you here. Rainbow Dash: It better not be something random. This fanfic is a combination of My Little Pony with a movie called Duel. If you have not seen Duel, then you should. It is very good. This is "Pinkie Pie's Blog". I was thinking about joining just to be one of her friends! If so, I call dibs on RD!!! What do you guys think? Good Roleplayer or what? a comment was made to the poll: Do you think Pinkie Pie is faster than Applejack or Rainbow Dash? a comment was made to the poll: Are you a fan of the Pinkie Pie x Cheese Sandwich (Pinkie Sandwich) shipping? 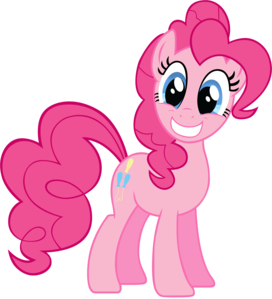 a comment was made to the poll: How old do you think Pinkie Pie is in pony years? No pony breaks a Pinkie promise!